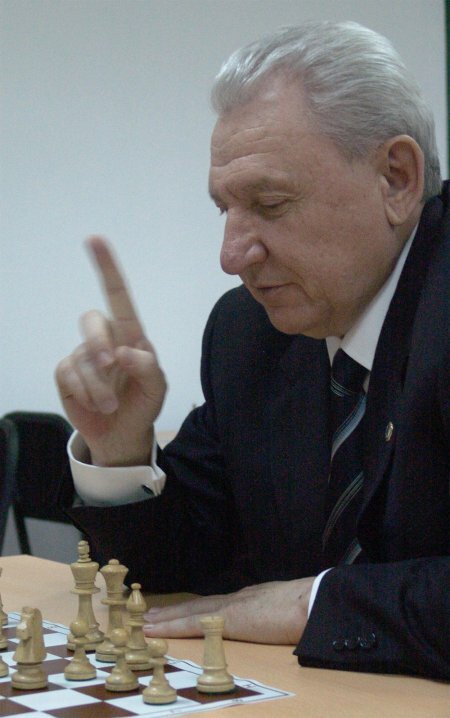 World Chess Cup 2005 with the participation of the strongest chess players has finished. Ugra and Khanty-Mansiysk were glad to welcome famous and respected guests. We tried to create the most comfortable conditions for participants. It seems that we managed to do it and World Chess Cup, held in Khanty-Mansiysk, will remain the bright event for our Region in its anniversary year. This tournament of masters of black-white squires representing 48 countries will be a new impulse in popularization of chess. I want to thank the World Chess Federation for the proposal to hold here this tournament, for its excellent organization, and also for the present – one thousand chess sets – that will help children of Ugra to learn this ancient, exiting, wise game. I am confident that chessplayers of the high level, able to defend image of the Khanty-Mansiysk Autonomous Okrug and Russia in competing with worlds leaders, will appear soon in our region. Every year the strongest in Russia international tournament in Poikovskiy gathers pace. It is not surprising already that the most famous Grandmasters look forward to arrive in this small northern settlement in order to define the strongest. I hope that it is only the beginning of our cooperation and in future we will realize new intensions, new plans. Ugra land is always glad to meet friends, chess lovers. I wish you new starts, brilliant victories and success.